Bob Timberlake designed country-style sofa. Comes with beautiful and clean custom-made green slipcover. Dimensions are 87 inches long and 36 inches deep. Only selling because we do not have room in our new living room. 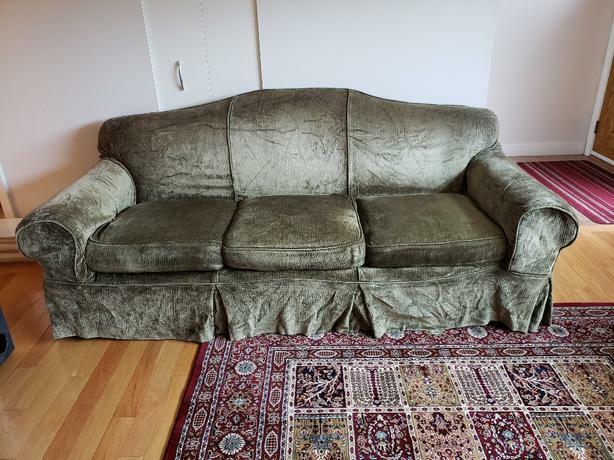 Couch can be delivered for an additional $200.